Time: 1 p.m. - 5 p.m. 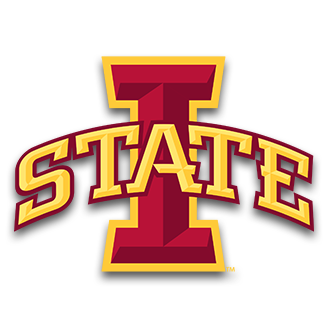 Welcome to Triple Crown's College Camp Sunday with coaching by the North Dakota State University, University of Oregon, Iowa State University and DePaul! This camp is open to all athletes; limited only by age and number of athletes the camp can hold. Each player must bring her own softball equipment. Players should bring a glove, bat, helmet, cleats, hat, and any other equipment they feel necessary. Catchers will need to bring their own gear. Camp time is 1 p.m. - 5 p.m.. 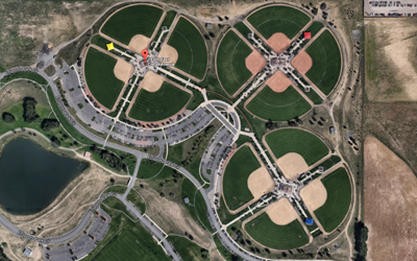 Arrive at Aurora Sports Park one hour before your camp time for check in at the front of B Pod. Please plan on arriving in Colorado by Saturday, June 29 to accommodate camp schedule. 1. NO refunds will be given after June 10, 2019.
a. Receive a partial refund. A $40.00 processing fee will be assessed for all refunds. Refunds will be issued by check only. This process is completed in a timely manner by our Accounting Department. b. Transfer the fee to another Triple Crown Individual Event. If event registration is transferred more than 2 weeks prior to event date, no processing fee will be assessed. If event registration is transferred less than weeks prior to event date, refund penalties apply. There will be no transfers after the event has begun. 3. Triple Crown will continue to play in almost all weather conditions unless deemed unsafe. Please plan on attending and participating in the event. All weather cancellations or updates will be posted to the Web site under "weather updates." 4. If there is a weather-related cancellation (in which the camp cannot be rescheduled), players will receive a 75% refund and their camp t-shirt. 5. If there is a weather-related cancellation in which the event is partially completed, Triple Crown will not issue any refunds as Triple Crown continues to pay facility costs, college coaches, and other event costs. "College Camp Sunday is a wonderful opportunity to work hands on in a camp setting with student athletes!" "I really enjoy being a part of Triple Crown's College Camp Sunday and having an opportunity to work with the athletes before the games start. It really helps us to get to know the athletes' better and see what they are capable of. It also allows us to get a look at some athletes' that we might not otherwise have an opportunity to see during the week"
I-70 to Tower Road South. Left (East) on Colfax to Dunkirk Street. Right (South) to Aurora Sports Park. FROM E-470: Exit at Colfax Avenue. Go West to Dunkirk, turn left to Aurora Sports Park.